Where do I even start? 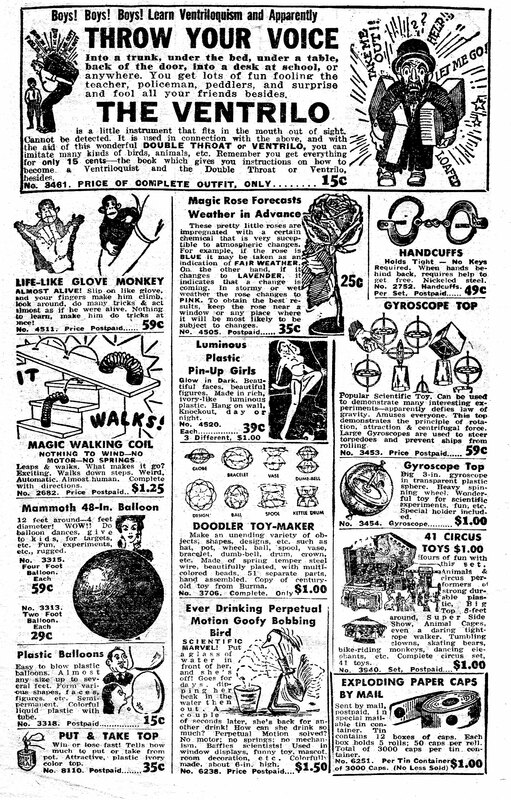 Hurry, Hurry, Hurry, Step right up and check out a tiny extract from just one page of the Johnson-Smith catalog that appears to be from about 1950. 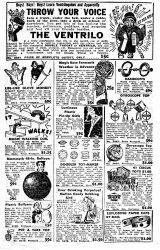 It's hard to tell for sure, since some of the gags pictured clearly haven't changed since the company got started in 1914. 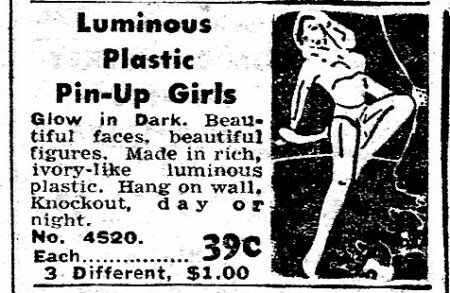 On the other hand, the Slinky — which this item seems clearly “inspired” by — was introduced in 1945.
or maybe the Luminous Plastic Pin-Up Girls? C'mon, only 39 cents! I'll revisit Johnson Smith (which is still with us and cranking out …stuff) in a future post. Next Next post: If she can only cook as well as Honeywell can compute.